I must say, it is a stunner. After trying on both it wasn’t even a close decision. microrotor, RedarT and watchgeek216 like this. I owned the previous SMPc version in blue. 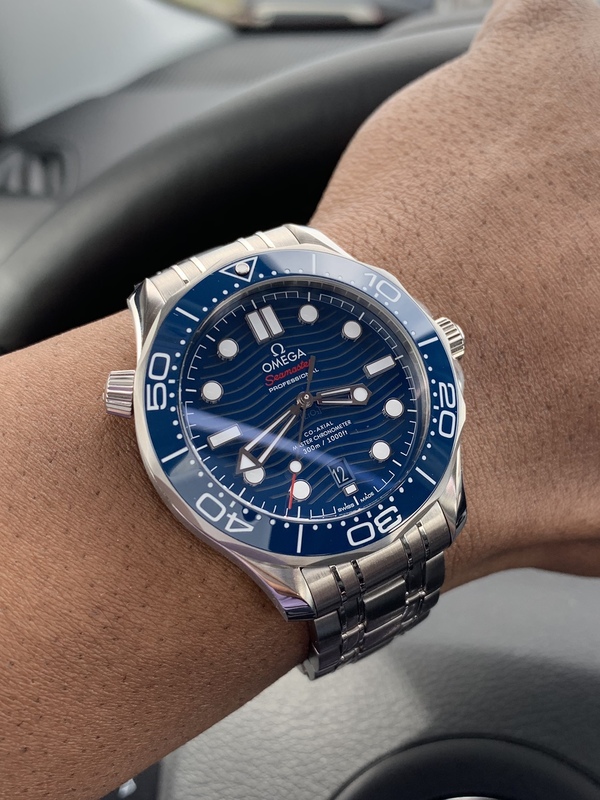 I did not consider replacing my Seamaster with the 2018 SMPc when I saw photos of the watch. My opinion changed once I had the chance to see the watch in person and try it on. That very same day with my SMPc still on my wrist, I put down a deposit for the 2018 SMPc. Unfortunately, they did not have the watch in stock on a bracelet, but a few days later it arrived. I have not regretted the decision. Choose based on what appeals to you. You win with either choice. Last edited by fskywalker; 1 Week Ago at 22:39. Bought the SMPc 50th LE Bond and would not trade it in for the new one. Technarchy and Londonboy like this. 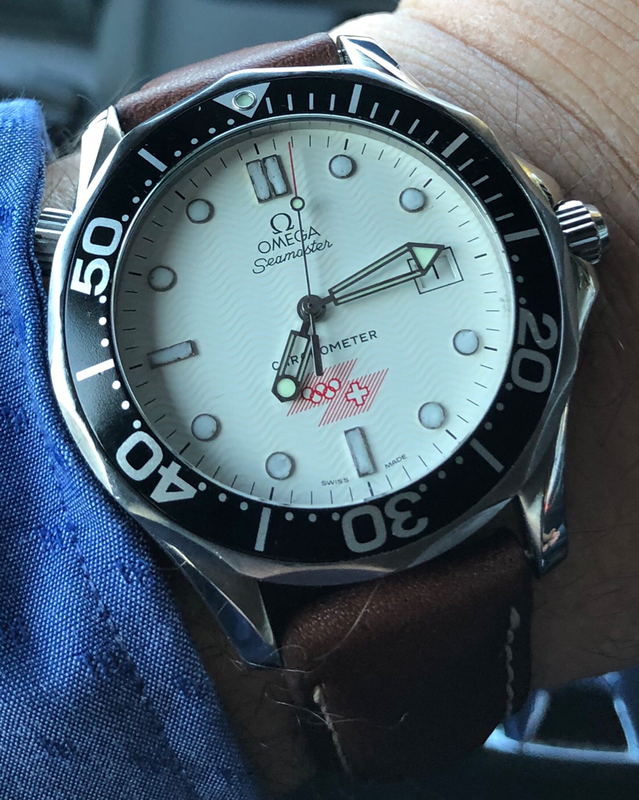 I am sure the new one is a better watch in terms of quality. Aesthetically, I prefer the aluminium insert smp 300 the most. The 2018 SMP300M is incredible in both aesthetics and tech. 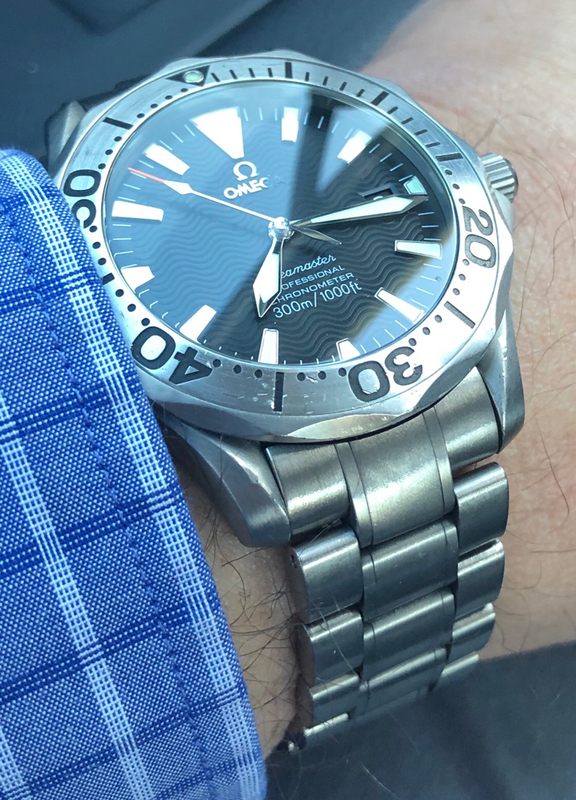 The 2018 Seamaster really cemented it’s position as a modern classic. I love both. 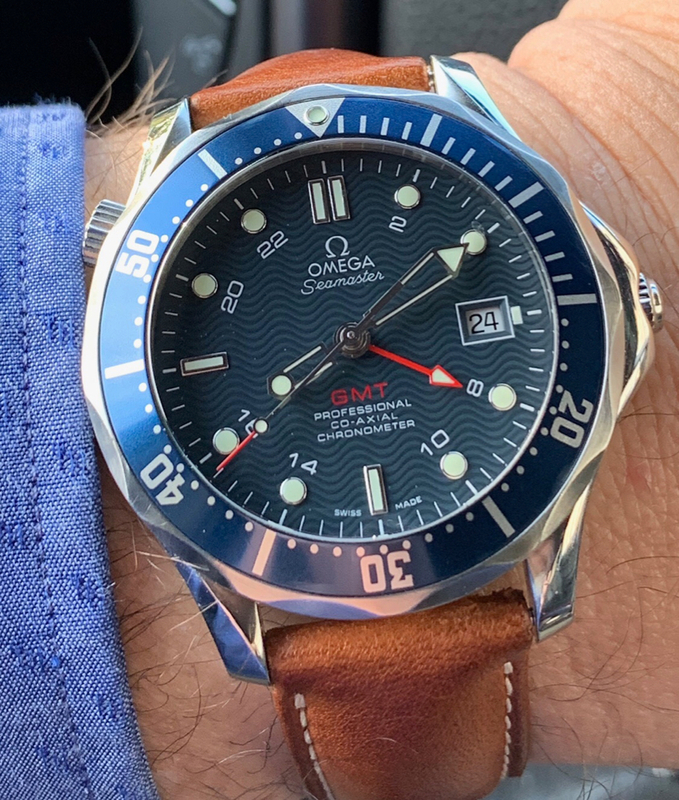 I own the original SMPc and the inky black dial is simply amazing. If I was choosing a blue dial one I'd probably go with the newer one, I think the waves work better on a blue watch. fskywalker, Polisci and Jaguarshark like this.